Durable lightweight poly twill fabric. Has rip stop adjustable chin strap and rip cord in back of hat for the perfect fit. Please select option for Boonie Hat. 70" Printed Silk Scarf. 100% Silk. "R" logo over "Rose-Hulman" over "Institute of Technology" in white text. CI Sport pom pom knitted hat. 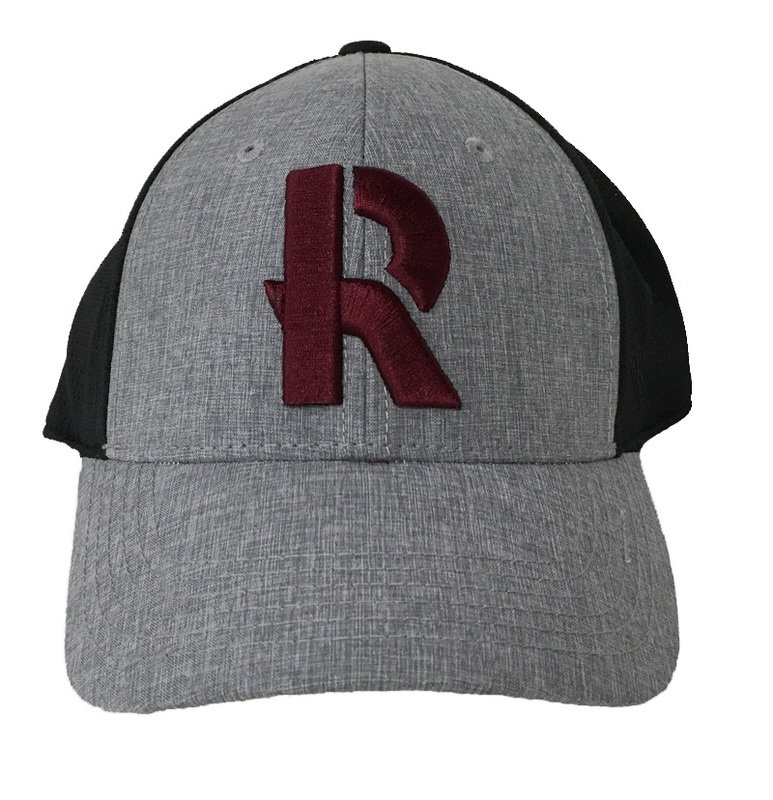 "R" embroidered in white on center front. Please select option for CI Sport Pom Pom Hat. Please select option for Logofit Hat Jamie. Please select option for Logofit iText Gloves MEDIUM. Please select option for Logofit Knit Earbands. Please select option for Logofit Primetime Hat Red or Black. The Game stretch fit Alumni hat in cardinal and heather gray. "Rose-Hulman" over "Institute of Technology" over "Alumni". Comes in sizes S/M and L/XL. 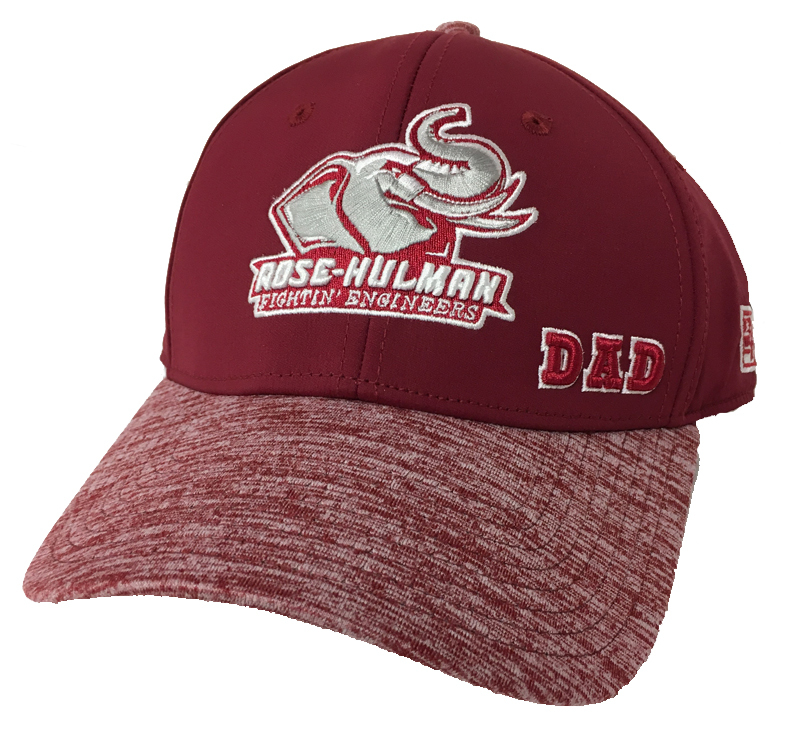 Please select option for The Game Alumni Hat. The Game stretch fit Dad hat in cardinal and heathered cardinal. Rosie the Elephant over "Rose-Hulman" over "Fightin' Engineers" with "Dad" on the left side. Comes in sizes S/M and L/XL. Please select option for The Game Dad Hat. Top of the World two-tone "one fit" hat. Stretchy mesh material. "R" on gray front. Please select option for Under Amour Stretch Fit Hat.